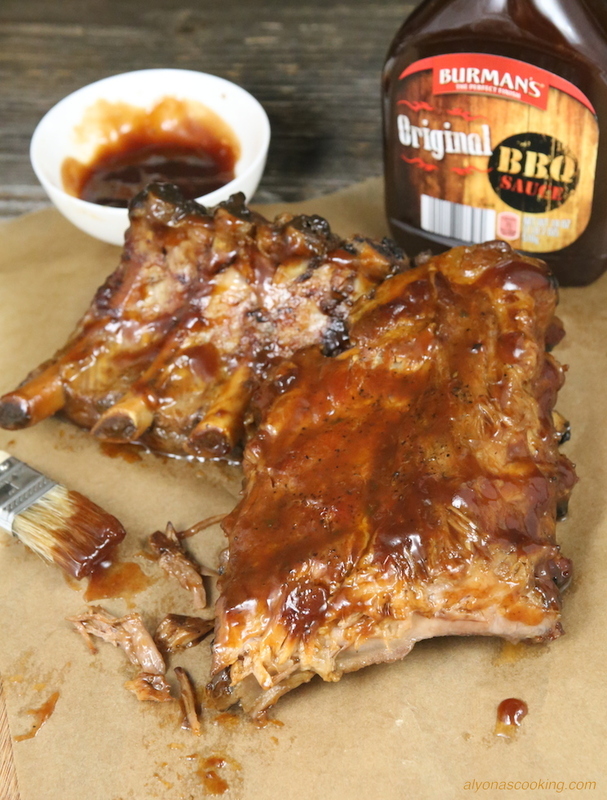 Baby back ribs are slowly cooked in a semi-sweet, smokey bbq sauce until tender and sticky. Easy and tasty is how I would define these. 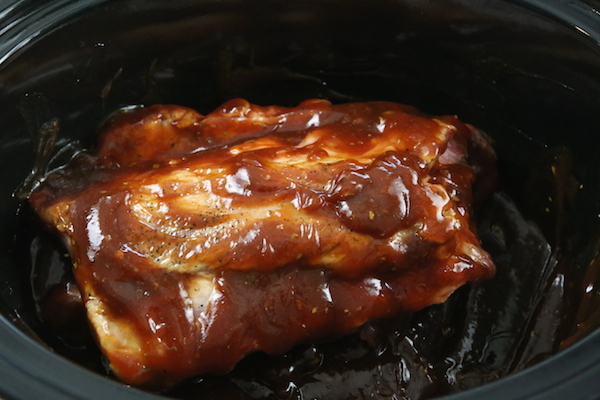 These slow cooker bbq ribs have been in my handwritten recipe note book for some time now. Usually “good recipes” get jotted down in my little recipe notebook, but this bbq rib recipe is exceptionally a keeper. These and my oven baked Tender Pineapple BBQ Ribs would be my go-to rib recipes. Simply because there easy and delicious. Definitely give these a try. 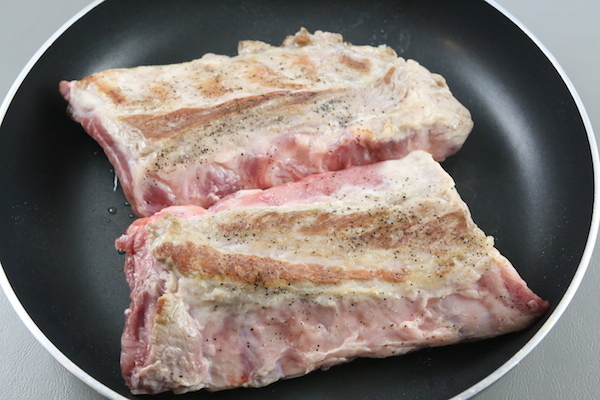 Season the rib meat with salt & pepper to taste and sear over high heat. Place meat into slow cooker. 2. 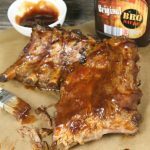 Whisk together the sauce ingredients (bbq sauce, sugar, oregano, w. sauce and ketchup) and pour over rib meat; toss to coat the ribs. 3. Set slow cooker to a low setting and cook for 6-8 hours. 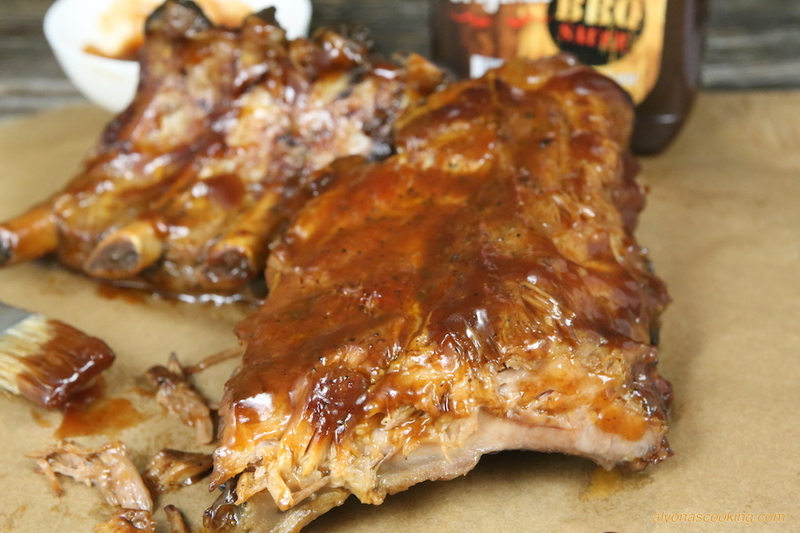 Usually "good recipes" get jotted down in my little recipe notebook, but this bbq rib recipe is exceptionally a keeper. 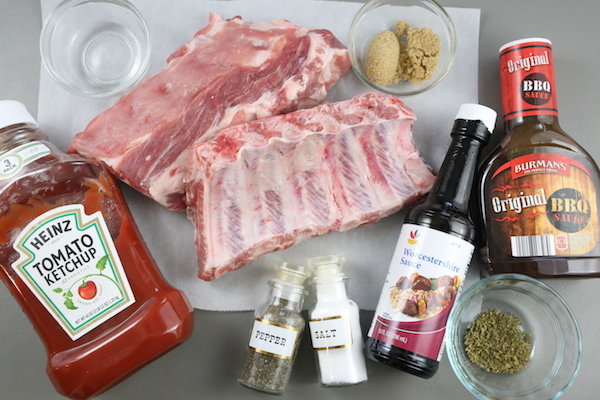 Whisk together the sauce ingredients (bbq sauce, sugar, oregano, w. sauce and ketchup) and pour over rib meat; toss to coat the ribs. Set slow cooker to a low setting and cook for 6-8 hours. Baste with some sauce the ribs cooked in before serving.